Online media has a vital role in shaping the public perception. It is very fast-paced these days because many people can now have access over the internet. Everyone can also be the creator and developer which gives an individual the power to express one’s self and a freedom to interact and join discourse to other people. Unlike the traditional media which is one-directional, the new media gives an opportunity to the audience to involve themselves and can send feedbacks simultaneously. As we all know, people leveled up with their expectations in media so they engage more through virtual connections. As of 2006, the Philippines had more than thirty known online news publications, although some had been inactive for some time. This figure includes only those that provide news as their main service, ranging from online versions of print newspapers to online daily newspapers, online weekly newspapers, online news magazines, and online newspaper-television joint ventures. It is mostly consumed by students and professionals. Today, the online media system of the Philippines offers an ordinary individual to share their opinions and personal perspectives through online blogging. On the other hand, media development in Burma, officially known as Myanmar, is at an important stage. After 60 years of military dictatorship and total control and censorship of the press. While in other countries, newspaper circulation is falling, in Myanmar people still read newspapers in large numbers. According to a UN report, a third of households did not have access to any information or communication device – meaning that radio, TV and the printed word is still vital for reaching these areas. While there is a lot of talk about the importance of digital mobile communication, traditional means of communication, such as newspapers, radio and TV are still of vital importance in Myanmar, but this is gradually changing. Myanmar’s new democratic transition – which began in 2011 – has seen new media freedoms and media development, combined with a legacy of oppressive laws and regulations which are still used to target journalists and publications. Just like in the Philippines, a strong and vigilant media will play a vital role in Myanmar’s development as a nation and a truly open society over the years to come. 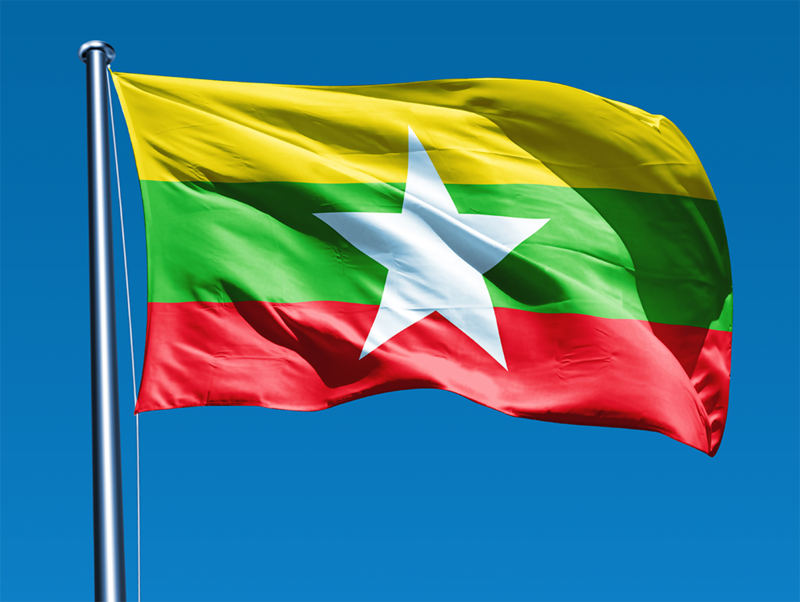 More regulatory reforms will be needed for Myanmar’s media to development. But also a focus on developing and nurturing the next generation of multimedia, online-ready, journalists. Around four to five thousand journalists work in Myanmar – the vast majority without any formal training. Unlike in the Philippines that journalists in the digital media has background from the traditional media that trained them in their skills. In preparatory for the new media evolution, Journalism Institute in Myanmar provides a full-time one-year intensive course, with the best local and international trainers, and specialist shorter courses for working journalists. It is hands on, and it is working at the grassroots to create skills and to help foster this culture. This has been implemented in many universities long ago in the Philippines which we can see the expertise of the usage of digital media. However, many have to implement proper ethics for we can’t ignore the fact that many are still committing mistakes even though they go through a degree in journalism. The huge boost in usage of social media platforms like Facebook has been driven by large-scale investments made in telecommunications technology infrastructure which has increased mobile and internet penetration vastly. Myanmar now has at least 33 million mobile users according to recent surveys, which is around 50 percent of the population, and smartphone use is at around 80 percent of those 33 million users. This shows that digital does have an important role to play in the country’s mediascape. Malaysia has this information policy censoring what is broadcast and printed but not Internet content. This results to the dramatic rise in popularity of online newspapers. Even more surprising has been the experience of Malaysiakini, an online newspaper that has no print version. This is the first independent news website which began in 1999. Started with a grant supplied by the Southeast Asian Press Alliance, this online newspaper says it intends to “push the boundaries of free speech and press freedom in Malaysia by providing credible and up-to-date news and analysis.” Working with a staff of only 13, the Web site claims daily hits of around 100,000. But on days when there is breaking news, readership can rise as high as 400,000. These figures are similar to ones posted by the major print newspapers, a remarkable result in a country where less than one-third of the population has Internet access. (McDaniel) This proves that online media is very important in the news distribution all over the world. Just like in the Philippines, Malaysia has seen an explosion in recent years in the numbers of blogs and websites which offer alternative views and news to Malaysians. It is true that the traditional media evolved now to the new or the digital media, there are still challenges that the world of journalism is facing. Especially here in the Philippines that is known to be the freest press in the Asia continues to be challenged by continued reports of killings of journalists and incidences of harassment. Well in the new media, seldom journalists are facing this but generally there are still reports of death threats. As a journalist, you’re integrity and stand is still challenged just like in the old media. Despite the progress achieved by media, there are still many areas where it has not been able to provide a fair and balanced coverage, including economic, ethnic and regional issues. So as a solution, journalists must always remember its traditional journalistic values as to be fair, neutral, balance and accurate in order to overcome these challenges. Another one is the audience question of their credibility as an online journalists. Since people are becoming critical thinkers nowadays, they can already determine if you are really doing your job for the citizen and not for your own stake. Every journalist must also be a critical thinker and responsible in everything they publish. They also have the power to influence one’s mind so they have to be accountable at all times. In the end, journalists will remain to be the Fourth Estate which continues to give voice to the voiceless.